The Shaw Center would like to welcome Debra as our newest member to our aesthetic team! Debra is a licensed aesthetician with substantial knowledge and over 20 years of experience. In honor of Debra’s addition to the team, she is offering 50% off skin care treatments to all new skin care patients for the month of September. No matter what your skin type is or the results you are trying to achieve, the spa at the Shaw Center has various facials and peels fit for you. Chemical peels have numerous advantages such as repairing skin damage caused by years of sun exposure, minimizing appearance of pores, improving skin tone and texture, removing lesions and improving scarring, acne, pimples, black heads, and clogged pores among others. There are many peels to choose from such as the Rhonda Allison Peel, ideal for all skin types and is a customized skin peel. The Sense Peel is geared towards sensitive skin conditions that will strengthen and brighten skin while helping to treat sun damage and other forms of hyperpigmentation. The Blue Peel Radiance, excellent for acne prone skin, contains a unique blend of acids to provide a gentle but effective peel, resulting in tighter, smoother looking skin. These are just a few of the many peels that the Shaw Center Spa offers. 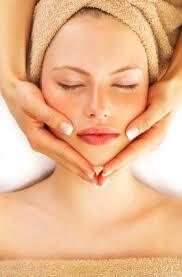 If you are new to facials, you should try the Euro Deep Cleansing Facial. This facial is recommended for normal to oily or blemish prone skin and is equipped with all of the basic essentials for good skin care. For those seeking a longer facial, the 90 minute 4 Layer Thermal Facial is therapeutic and will leave you feeling rejuvenated. This facial uses nourishing properties from the sea and the layers include a seaweed serum, hydrating creams, a seaweed mask and a warm mineral mask. Visit www.theshawcenter.com to view all of the services offered at the Shaw Center Spa. Call (480) 767-1900 to book an appointment with Debra to receive 50% off your service in September!